When you’ve got a lot of weight to lose, it’s pretty easy to lose a lot of weight. Change a few habits, and the pounds seem to fall off. Take the TV show “The Biggest Loser” for example. It takes a lot of calories and a lot of sitting around to become 100 pounds overweight. Start moving just a little, and lower your calorie intake a little more, and voilà, off comes at least 10 pounds, and usually much more, in just one week. But as the contestants get closer to their goals, weight loss slows. There is much less room for error when there is less weight to lose. Every calorie counts, once the body is no longer expending massive amounts of energy just to pull itself around. The closer you get to your goal weight, the more muscle you lose in proportion to the fat that you lose, which begins to lower your metabolic rate and your fat-burning capacity. This is when dialing in the details makes a big difference. Those details combine diet and behavior strategies that will rev up your metabolism to break the weight-loss barrier and help you lose those last 10 pounds. Three major factors control your bodyweight and body composition: inherited, behavioral and physiological factors. They can function at odds with each other to keep you from losing weight, or they can work together to get you to your weight loss goal, depending on the choices that you make. Of course, we can’t control the cards we’ve been dealt, so inherited factors are something that we’ve got to learn to work with. Some of us, no matter how perfect our diets and actions, will never be tall and svelte. Our genetic makeup, our birth and early childhood environments, create certain determining factors that won’t change. You’ve got to make peace with that and not let those factors work against you. In fact, you can take advantage of the behavioral and physiological factors that you can control to put your inherited traits in the best light. If your genes dictate that you will always have a larger lower half of your body, then it is likely to gain muscle fast. Use that strength as your powerhouse when you exercise. Propel yourself up a mountain, take the 50-mile cycle challenge, become a roller-blading queen or even take a hip-hop class, and know that you have a great advantage to burn loads of calories in those big muscles, keeping your metabolism high and the rest of your body lean and fit. Physiological and behavioral factors really work hand-in-hand with each other. What we choose to include or exclude in our diets is behavioral, but how those foods influence our bodies is physiological. For instance, low consumption of fruits and vegetables diminishes the amount of antioxidants that our bodies have to decrease oxidative stress. High levels of oxidative stress, a physiological factor, increase inflammatory responses, which slow down fat loss and may even lead to fat gain. On the other hand, diets high in fruits and vegetables, a behavioral choice, are not only high in antioxidants which enhance the body’s ability to focus on fat burning, but this dietary choice also leads to diets higher in fiber, total fluid, and lower in total calories, capitalizing on the influence of behavior on physiological factors. When we only have 10 pounds to lose, we want to maximize every strategy to create the physiological environment that best promotes fat loss. Very low-calorie diets can lead to weight cycling, or yo-yo dieting, i.e., frequent losses and gains in bodyweight. This pattern has been shown to impede fat loss and enhance fat gain. On very low-calorie diets, every time you lose weight, you lose more muscle— and when you go off the plan and regain the weight, you gain back more fat. Ultimately, you lower your metabolic rate and you must eat fewer and fewer calories just to maintain your weight. Weight loss becomes extremely difficult. When you only have 10 pounds to lose, getting your calorie intake right is critical. The margin for error is very small because you have already reduced your calorie intake to very close to your body’s requirement to maintain an ideal weight. Exercise can create a greater calorie deficit and relieves the pressure to reduce calories beyond the level that will keep you nutritionally healthy and your metabolic rate elevated, and exercise helps to support metabolism as well. In fact, exercise can enhance metabolism somewhat by helping your body hang onto lean tissue as you lose the last bits of extra fat. But exercise alone typically does not promote weight loss; it is a marriage between diet and exercise. The key to this happy marriage is to eat enough calories to have enough energy to exercise. Now, subtract 300 from the value that you have determined above and you should have the number of daily calories that will allow for weight loss but still keep your metabolic rate as high as possible. Of course, because of the triumvirate of factors, your rate of weight loss may be slower or faster than someone else following the same program. If you increase your exercise just a little by ramping up the intensity of your workouts, you may enhance your body’s ability to burn fat. You already know that monounsaturated fats from olives, extra-virgin olive oil, canola oil, nuts, seeds, and avocados, are important for your health. You probably also know that fish oils are important for the health of your heart, your brain, and just about every cell in your body. But you may not know that these high performance fats also play a role in mood, appetite and fat-burning. Evidence is emerging that when the ratio of these healthy fats is out of whack with the unhealthy fats from fried foods and packaged foods, the fatty acid metabolism is altered in your body. Your brain releases hormones and neurotransmitters that tell your body to hold onto fat, not burn it. Omega-3 fats from fish oil influence your appetite. 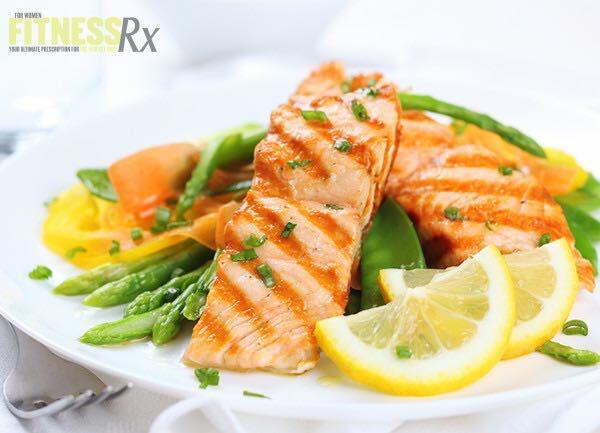 A study that supplemented subjects on a low-calorie diet with 1.3 grams per day of fish oil resulted in better appetite control and less hunger. “The most important finding of this study is that subjects who eat a dinner rich in long-chain Omega-3 fatty acids feel less hunger and feel more full directly after and two hours after than their counterparts fed with the low long-chain Omega-3 fatty acids diet,” wrote the authors. Total fat consumption makes a big difference in how you feel and how well you cope with stress. Studies have shown that diets with less than 25-30 percent of total calories from fat increase feelings of anger and hostility. Tension and anxiety are more well-controlled with diets adequate in total fats. A 2006 study of anger levels in aggressive adults found that regular intake of fish oil mellows out even the hard-line personality types. It’s much easier to control what you’re eating when your mood is lifted and your stress levels are under control. Increased levels of stress can hold back your fat-burning physiology. So include several helpings of high-performance fats and fish oil in your diet daily. Control of portion sizes is still important, however, since too many calories will still short-circuit your weight loss. You need more protein when you are on a weight-loss diet that is deficient in energy. A little more protein helps control your appetite and hang onto muscle while you are losing fat. And there is new data that we all may actually need more protein than previously reported, to stay really healthy. Eating a small amount of protein with every meal (yes, that means breakfast) and snack is an excellent strategy to help give those last 10 pounds the boot. Choose lean, high-quality protein sources from eggs, low-fat milk, fish, lean meats and poultry. 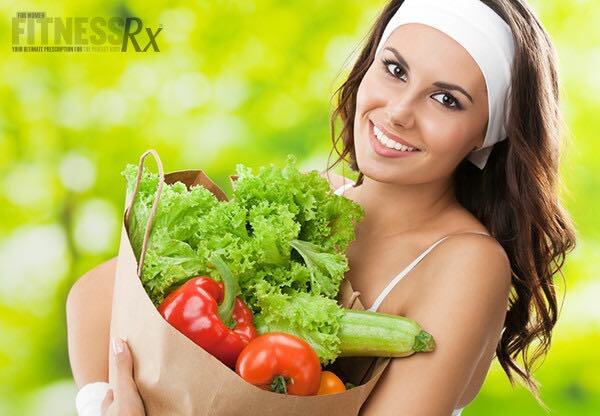 Include some vegetable proteins in your diet for nutritional variety and good sources of fiber. Whey protein (20-21 grams) is particularly good around exercise to give a boost to protein metabolism for recovery, repair and growth, ensuring your ability to work out as hard as possible day after day. Meal replacement beverages are convenient for controlling calories, especially when you’re on-the-go. 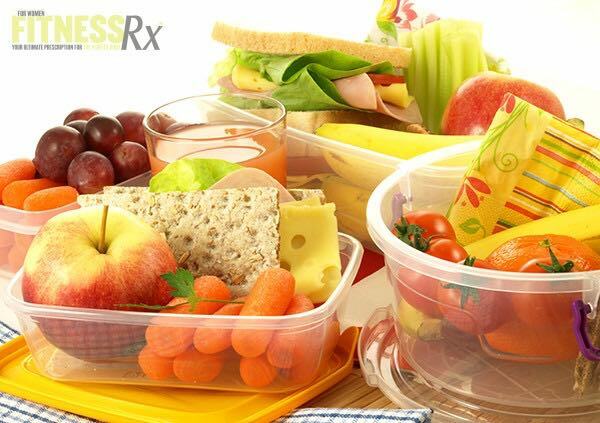 Research studies have shown that replacing one meal or snack can be a successful strategy to support a weight loss program. Use a smaller plate. Large plates can cause portion sizes to slowly creep up. A smaller plate helps your meal appear abundant and more satisfying. Make sure your vitamin D levels are on the mark. Vitamin D, really a hormone rather than a vitamin, influences every cell in your body. Among its many important functions, vitamin D plays a role in reducing inflammation, enhancing immunity and elevating mood. To stick to your nutrition and exercise plan, you need to feel good, mentally and physically. Spend time outside during the summer, and take vitamin D supplements in the fall and winter, if your blood levels are low. Get calcium. Best when it comes from dairy products (milk is also a great source of vitamin D), adequate dietary calcium has the ability to turn off our fat-making machinery. When calcium levels are low, our survival mechanisms perceive that famine is on the way and food will be scarce: time to build up fat stores. Sufficient dietary calcium acts as a trigger to turn off this primitive genetic survival mechanism. Include fruits, vegetables and whole grains in your diet to boost your nutrient and fiber levels. These fluid- and fiber-rich foods, along with plenty of water and other non-caloric or low-calorie beverages, will help you feel full and control your appetite. Fuel yourself around exercise. It is a myth that you burn more calories if you don’t eat before or after exercise. In fact, a snack of some protein and carbohydrate before and after exercise actually boosts your calorie-burn, and enhances recovery so that you can maximize each training bout and work out harder and longer on successive days. After exercise might be the ideal time for a meal replacement beverage. You will also find that when you fuel yourself around exercise you don’t “panic eat” later in the day because you are so famished. This is truly one of the keys to shedding those last 10 pounds. Along with ramping up the intensity and duration of your exercise, you must live an active life. This means that after you do your organized workout, you don’t go home and become a couch potato. Put on a pedometer and work toward a minimum of 10,000 steps a day. Without adequate rest and sleep, your body puts itself on a high-stress track, holding onto every bit of fat that it can, and manufacturing as much as possible. 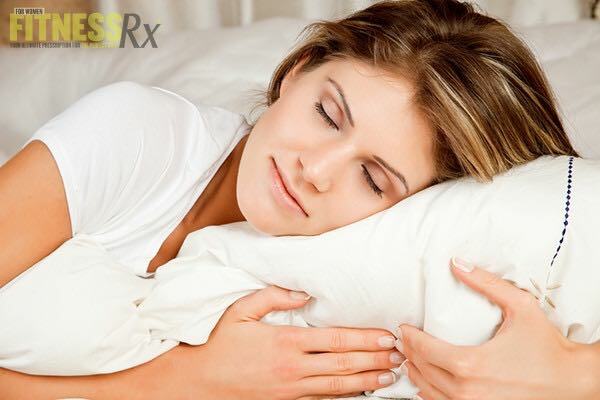 You must sleep well to lose weight. So turn off the tube and the computer and go to sleep. As mentioned above, stress will short-circuit your fat loss. Just about everything included in this article will help you to cope better with stress: eat enough calories and the right kinds of fats, eat plenty of fruits and vegetables, supplement your diet with fish oil and vitamin D, get a generous amount of exercise and rest. If you find that you are not coping well with stress, find a counselor who can help you set boundaries and create a personal environment for success. 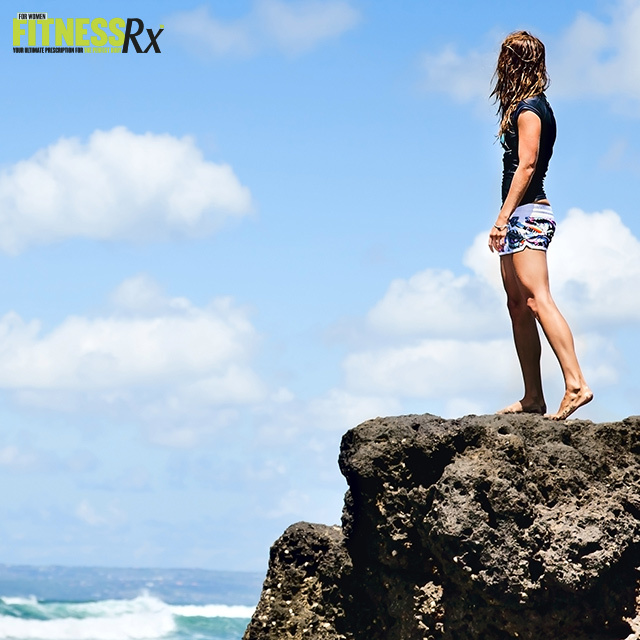 While this may seem like a detail, stress actually plays a major role in impeding fat loss. These are the four-letter words of nutrition, but can make all the difference when you’re trying to eliminate stray calories. The more food you prepare for yourself, the more control you have over what you are eating. When you eat at restaurants or depend on pre-prepared foods, you abdicate control to others. While this works occasionally, as an everyday tactic it will likely slow your weight loss to a crawl. Approach this strategy as an adventure, going to farmers markets where you can meet the growers and producers of your food, creating a positive connection between you, your food and your community. Make eating simple foods fun, lowering your calories and lifting the enjoyment that you feel while you dine. Very often, the difference between any athlete and a champion is attention to details. While you were losing the majority of your weight, you could be less focused on the fine points, but now that you’re down to the last 10 pounds you really have to be dialed in. Just like you did when you began to lose weight, choose the strategies above that seem most “do-able” to you; then work your way down the list. You’ll be down 10 in no time! Wells AS, Read NW, Laugharne JD, Ahluwalia NS. Alterations in mood after changing to a low-fat diet. Br J Nutr. 1998 Jan;79(1):23-30. Tome, D. Protein, amino acids and the control of food intake. British Journal of Nutrition, (2004), 92, Suppl. 1, S27-S30.